Can I apply for the Working Holiday Canada if I am 17 or 37 years old? You must be at least 18 years old to meet WH visa requirements and not older than 30. However the candidates from the following countries can be 35 years old: Italy, France, Germany, Czech Republic, Latvia, Norway, Denmark, Chile and Poland. Is there minimum passport validity? Yes. You should ensure your passport is valid for at least 14 months from the date you apply. You will not be issued visa for more than the validity of your passport. Candidates from New Zealand and Australia can obtin a visa for 24 months, so their passport should be valid for at least 26 months. When can I apply for the Working Holiday Canada? We accept applicants all year round. Can I choose what position do I want to apply for? Yes, before your trip you will be able to specify your preferences regarding type of job and location and we will arrange a placement for you prior to your arrival in Canada. We recommend our applicants to be flexible with the job offers they receive as there are limited positions every year. 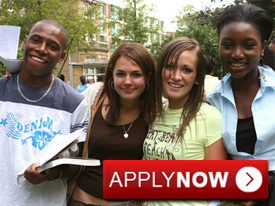 Apply in advance to get the more suitable placements acording to your interests. Will I have accommodation arranged? The accommodation is included only for some jobs in the hotels. All other candidates will get an assistance with booking short-term accommodaiton (hostels) or finding long-term accommodation (shared flat).